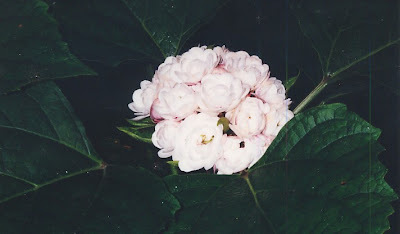 Diary of a bereaved mother, 丧儿记,: 丧失儿子的母亲的一本传记: Chinese Glory BowerClerodendrum chinense. In NTU, Singapore, my friend J gave me the original plant. Her friends brought them specially from India. I dub it as Indian Jasmine. It's common name is Chinese Glory Bower. Scientific Name: Clerodendrum chinense. Origin: China, Japan; naturalized in southern United States and throughout tropics. These plants have very fragrant flowers, cluster of flowers forming a ball. The flowers are pinkish purple and are more beautiful than the ordinary jasmine. They are bigger and have multiple layers of petals. It is ironic as some one who grows plants and love flowers, I can't have flowers. Actually I would love receiving flowers, but I can't keep them at home. We has a terrible allergy reaction from pollen grains. If I bring flowers home, the moment he comes home, he will ask,"What's the stinky smell?" and I would have to throw out my flowers. This has been a blessing in disguise. I made many friends through my flowers. My bushes of Chinese Glory Bower had bloomed lots of flowers. My friend A. 's husband had been very sick for a long time. Every morning, I leave this Chinese Glory Bower at her door. She knows it is from me and I don't want to disturb her. "It cheered him a lot to see you stalk of Chinese Glory Bower."